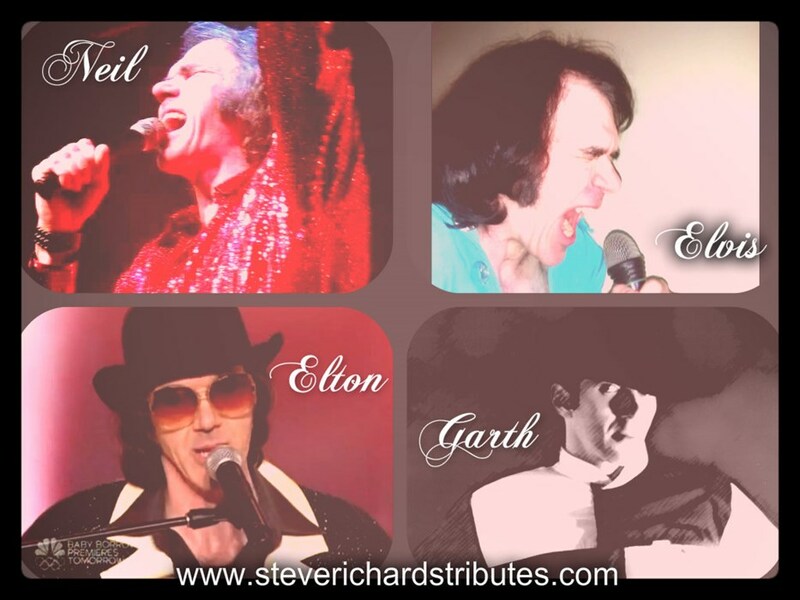 Dynamic Tributes to Neil Diamond, Elvis, Elton John, Billy Joel and Garth Brooks ! #1 Tribute Artist in the Midwest ! 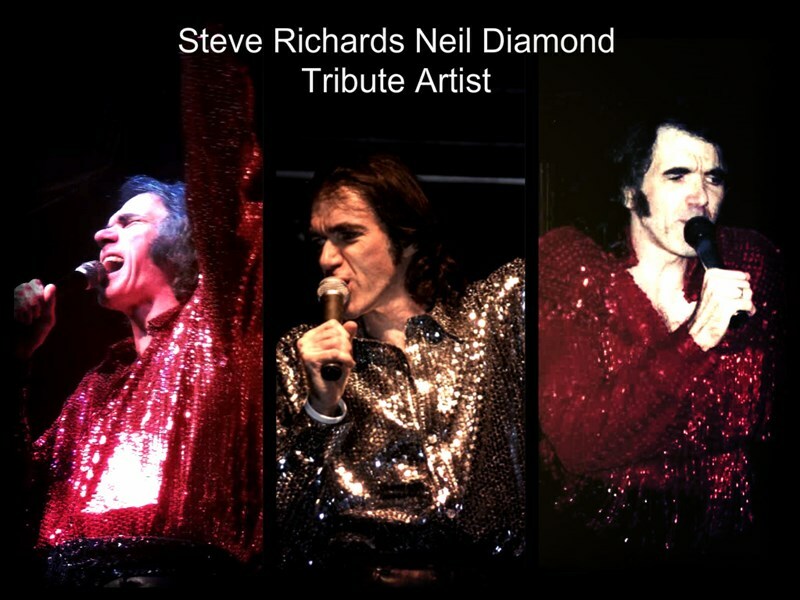 Steve Richards' performance is authentically in voice, appearance, gestures and heart ! Each and every performances is very unique ! Reaching out to the audience and leaving them with a memorable experience is our goal ! 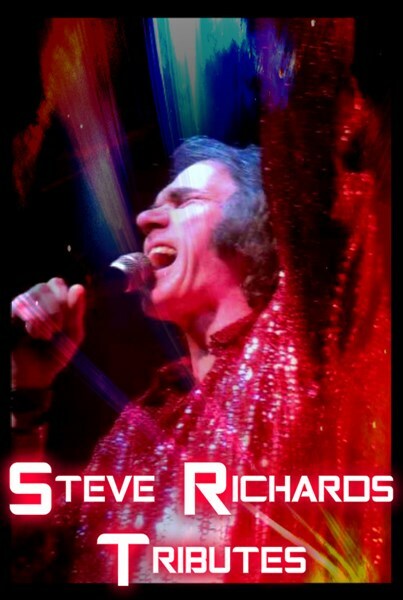 Steve Richards has been performing Dynamic Tributes for over 25 years in the Midwest and around the world ! He has perfected the art of re-creating some of the greatest entertainers. His show is on the level of a concert, capturing the talents and electricity of Garth Brooks, Elton, Elvis, Billy Joel, and Neil Diamond. Steve leaves audiences elated and exhausted. Many artists perform but few are entertainers. Not only can Steve sound like these legends but he brings out the soul and passion of the song and reaches the people in an uncanny experience!!! He has appeared on AMERICA'S GOT TALENT AND WAS ON THE FOX SHOW THE X FACTOR. In Oct. 2010, Steve was invited to a duet with GARTH BROOKS @ THE WYNN IN VEGAS. Steve brought the house down with a roaring standing ovation and a hug from Garth !! We strive on quality and never disappoint !! Our motto is we go beyond expectations!! We do business by talking with people and building a relationship instead of texting and emailing . This is so very important in the quoting and booking process. Details are significant. When leaving a message to request a quote please include your name, the type of event , your phone number, date of your event, location of the event, and your approximate budget. All of this information is greatly essential to ensure a smooth business transaction . Business is conducted by communication in 3 easy steps : 1) give us a call , 2) discuss the details needed to make your event an exceptional one, and 3) finalizing a contract!!! Thank you ! Please note Steve Richards Tributes will also travel to Cicero, Berwyn, Oak Park, Forest Park, Hines, Lyons, Riverside, Brookfield, Maywood, River Forest, Summit Argo, Carol Stream, La Grange Park, Bellwood, Bedford Park, Melrose Park, Westchester, Burbank, Bridgeview, Hillside, Hinsdale, Hometown, La Grange, River Grove, Stone Park, Western Springs, Berkeley, Franklin Park, Justice, Norridge.